12/30/2012 update…here is a link http://sore.net.au/952/csg-and-sulphate-reducing-bacteria/ with proof of SRB (sulfate reducing bacteria) whose by product is H2s in Australia….the industry is “well” aware of the steel and cement distruction SRB’s cause in addition to the risk to those breathing it. Here is what Schlumberger has to say about SRB’s….. In my opinion, here is what T I M E will show…..
5) the hyper bolic production decline curve will show itself no matter how big of a build out occurs so shortages of natural gas is eminent and high energy bills from NG power plants is likely over T I M E.
6) check the percentage of how much waste water actually can be recycled….it is not economic and ruins engines that have to run at higher PSI’s to overcome the turbidity issues. So water usage issues over time will be what actually kills the industry….if the SRB’s doesn’t get there first to ruin the gashole party. Last March, I questioned if man-made H2S from “stale” flowback is what sickened Jean Stephens and have received no responses. The Cowboy Stadium area of the Truman drill site near my home seems to be following in the same risk path in the plan to hold back the flowback deep underground for months until the pipeline is ready. Not flowing back right away after fracturing can damage the formation (productive life of the well) AND risk reaking dangerous gases later on when flowed back. Here is the ADDFRAC product to prevent the man-made production of sour gas by Bakerhughes. Gee I hope now that Chesapeake is in hoc for $20 billion that they don’t forget to buy some “ADDFRAC “. 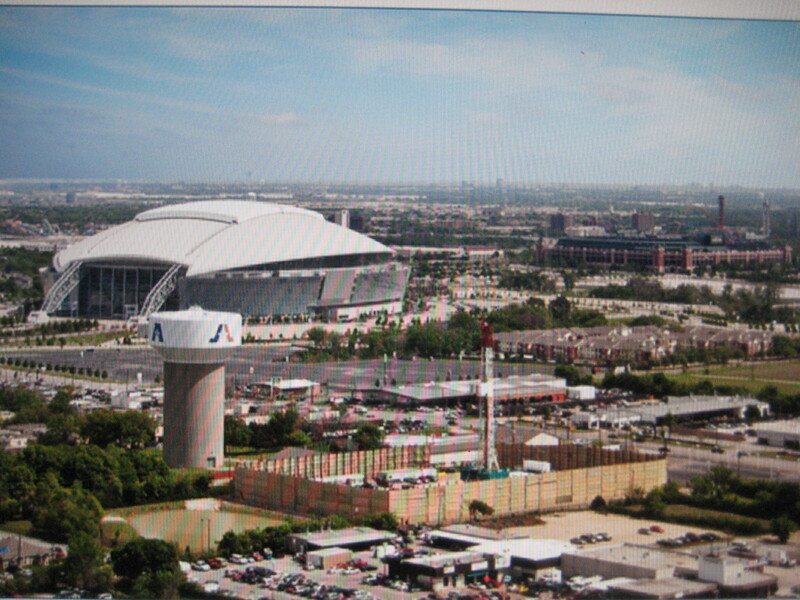 Subject: Will the Baker Hughs product “ADDFRAC” be used at frac operation near Cowboy Stadium? Dusy, I haven’t yet heard back from you on the below email and I do blind copy attornies with this eveidence of attempted communication in the event of an “event” they want to take my case, I have evidence of forewarning those that could have made the drilling operation safer for my family. Since the March 2012 event at the Chk Lynn Smith site in Arlington that sickened Jean Stephens from “stale waters” flowing back, I do not want that happening in my neighborhood. Fracking is scheduled for 8/24 and flowback is not scheduled until this fall when the gathering line is in place…..I was told the frac focus items being used was identical to the Forks 1H well and do not see the Baker Hughs product “ADDFRAC”. Since 10% will be brine water, I worry the frac tanks may harbor elements that can send bacterial agents down the hole to fester and later come up as biogenic H2S gas production. Chk did not answer my questions on the Lynn Smith site regarding water tests and what kind of water was sent down the well, so unless we learn from previous emission events…Chesapeake is not being good neighbors and should not have the privledge to be drilling in urban areas. Please advise as we are running out of time…idealy, you should have waited to frac once the gathering line was in. What was the hurry? Mr Anderson, I have submitted questions to askchesapeake and have not yet heard back…in fact over the last two years they have been silent on my concerns. Since fracking is to start on August 24th (please verify that)…I understand the 3 wells will be fracked simultaneously and that nothing will be flowed back until this fall once the gathering pipeline is in. Please verify the flowback date if possible. 1) preferably postphoning fracturing until the pipeline is established this fall so that flowback can occur right away. Flowback with stale water can sicken people as this has happened before last March at the Lynn Smith site. 3) we need scrubbers on the open hatch flowback tanks to be protective of public health; Vapor Point sells these. 4) voluntarily contact TCEQ for emission/epills that are less than the required Reportable Quantities. Currently 5,000 lbs it the RQ for most releases – this is not acceptable for URBAN DRILLING. Mr Anderson, please call me or email me as I have worked full time almost 3 years now on finding loopholes on public protections near drilling. Once I became aware of how close this drill site is to our home, I have fought to get all the protections in place in time for my drill site that I am a couple of blocks from here by the stadium. I am grateful that the electric drilling rig was used, now I’m wanting to ensure the best emissions reduction technologies are used during fracking to keep the sand dust from leaving the site (if you have to water spray it down-please do). Most importantly is getting scrubbers on the open hatch tanks during the well clean up phase (which is prior to connecting to the Green Completions equipment). Please call me on this matter as our ordinance was written to be protective of public health, yet the well is INdirectly venting to the atmosphere via those open hatch flowback tanks. Industry standard for URBAN drilling should include scrubbers for those open hatch flowback tanks…will Chesapeake rise to the occasion at this high profile drillsite and set the bar for other operators drilling in urban areas? Once the price of NG goes back up and the drillers return to the dry gas areas, the last thing you need is public resistance because of the perception that little effort is being made to use best available emission control technologies….it is appropriate for me to ask for these scrubbers, please work with me on getting these approved. http://www.youtube.com/watch?v=34DaGhAaHgY Evidence that Collin (Arlington Gas Well Coordinator) was to be in communications with staff and operators on these recommendations (see attachements) that I was denied on open records (see below email). http://www.colleyville.com/images/content/files/communitydevelopment/final_air_quality_analysis_summary.pdf report from Modern Geosciences (our dry gas DOES have Benzene) and up to 20% methane throughout the flowback which is 5 times the LEL – ask your fire chief how safe this is. Attached is the related docs on the Colleyville city funded study…..note the benzene is in ppm-when you convert to ppb, it exceeds the two week Max Risk Level for the ATSDR of 9 ppb BENZENE. It is worth mentioning that the citizen funded study yielded similar enzene results that exceeded the ATSDR MRL too. Please get scrubbers on those open hatch tanks for the Truman/Cowboy Stadium padsite when they flowback….I don’t know what chemicals they are using right now with that workover rig that has been up for at least a week now, but I’ve already had one emission event with a strong foul burnt like odor on my porch last weekend that remained strong and foul into the morning. Yesterday I woke with a bloody nose and have been sick to my stomach for about 4 days now. Someone from the city needs to respond to this ASAP as they frack next week by the Cowboy Stadium near my home. I have issues with..
My husband and I expect the city to be protective of human health and we need to meet with Councilman Parker or someone in the City Managers Office right away to force some type of injunctive relief. Under the Texas Public Information Act you have the right to request access for inspection or copies of the requested records. Failure to make arrangements for inspection or payment for copies by the 30th day after notice of their availability will result in the closure of your request. Subject: Who can help me enforce a public protections measure to make the city enforce their ordinance? I am in a panic because they are about to frac 3 wells within a 1/2 mile of my home at the Truman site (310 N Collins St) near the Cowboy Stadium in Arlington TX starting on August 24th. This is a high density, low income area of workers and renters – some within 600 feet. While a Green Completion is planned (the gathering line goes in early fall), I am concerned with emission exposures prior to the Green Completion equipment/pipeline where “top flow” fluids will be volatilizing during initial flowback that comes off the open hatch flowback tanks. Our ordinance states the well may not flow or vent directly into the atmosphere without first directing through a separator OR into a portable tank. The flaw/loophole with this wording allows the well to flow directly into an open hatch flowback tanks which violates the spirit of the ordinance in keeping VOC’s out of the public airshed. Our city inspector could also purchase these scrubbers in advance and keep them in stock for the upcoming flowback and then invoke Article VII 7.01 A6 15 “…If the Fire Inspector believes that it is necessary to take emergency action due to a potential or actual situation that danger to persons and property exists …the Inspector may then employ any…..material which the Inspector deems necessary….Operator shall reimburse the City…”. Our leaders tell us that our dry gas has little VOC’s, but down the road in Colleyville TX, the city funded Titan air study by Modern Geosciences found benzene during flowback from Jan 30 thru Feb 16 2012, to be up to 85ppb which violates the 2 week threshold ATSDR MRL by over 9 times. A citizen funded air study also found benzene at 54ppb for that same drillsite during flowback. The Arlington flowback videos showing a white cloud wafting off these tanks don’t lie….this stuff is under pressure and volatilizing in our airshed in our neighborhoods. It is time for Arlington to step it up and set a precedence for mandating best operating flowback procedures in making the operators use scrubbers on these open hatch flowback tanks during well cleanup which is the phase PRIOR to Green Completions. This entry was posted in Uncategorized and tagged addfrac, air, anderson, arlington, associated, aubrey, back, bacteria, bacterias, baker, bakerhughes, bamberger, Barnett, biocide, biogenic, brine, cement, Charlie, city, cityofarlington, contamination, cornell, corrison, council, cowboy, csg, DFW, downstream, dusty, fans, feil, flow, flowback, Fluids, football, frac, frack, gas, gathering, growth, h2s, harbor, hughes, hydrogen, incumbant, induced, infect, infestation, jerry, jones, Kim, kimfeilgood, lincoln, mcclendon, meter, michelle, microbiocide, Midstream, oswald, parker, pipe, pipeline, production, program, quality, reducing, residue, reuse, Robert, sales, schlumberger, shale, site, square, srb, stadium, steel, storage, sulfate, sulfide, tanks, Truman, tx, university, water, wells, white. Bookmark the permalink.